Preventive care aims to help detect and prevent small health problems before becoming big health risks. It is a provision in the Patient Protection and Affordable Care Act (PPACA) whose purpose is to keep people healthier by removing cost barriers for preventive care services and to lower health care costs overall. Because of Obama Care in California, preventive care is now free on most plans. This means these specific services are not subject to the deductible and you do not have to pay a co-pay or any co-insurance. This is true of all private non-grandfathered health plans that became effective September23, 2010 or after. In addition, there are specific free preventive services for women on plans that became effective August1, 2012 or after. Preventative services are not free if obtained through an out-of-network provider. If the primary reason of your office visit is for diagnostic care, then you most likely will have to pay. This means that if the majority of your visit addresses health problems you are already having, then your visit is not a preventive care visit. It can also depend on how your doctor’s office codes the visit. 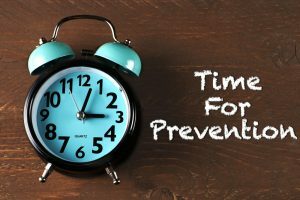 If the preventive service is billed separately from the office visit, the preventive service must be free, but the office visit may have a cost. If you receive treatment given as a result of a preventive service visit but the actual treatment itself is not considered a preventive service, then you may have to pay.